Personal blog of Jonathan Justus, I like to write about happenings, sports, movies, views and articles. He always had a democratic sympathies, he told that government should take a decision democratically and genuine basis. Also he blasted over the media that ridicules the capacities of intellectual. At the same time Bruggemann given an ideology of free trade in the collaboration with Marx. 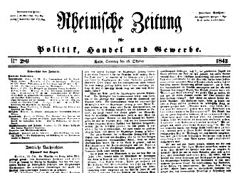 Marx made young Hegelians to tone down from Rhineland News, this create amid clash with his university’s friends and with Bruno Bauer. Young Hegelians demonstrated with alcoholism and calling on supporters to leave the churches. Marx continued in Rhineland News and writing on pro-free markets. He related the economy with Prussian government and Capitalists. He blamed the most on Prussian governments. Later on he become editor for the newspaper. He found that Germany’s educated youth wandering around, begging for the daily bread and looking for the foreign jobs and aids. He also wrote about winegrower peasants and tree cutters from the forest. Their works, situations, pains he quoted those on his editorial columns. Prussian government did not agreed with Marx writings. It started suppressed his writings, Marx stated that authorities ideologies to suppress his editorial venture are hypocrites, crude and bending. Marx selected Brussels because it had the good connections with Cologne, Paris and London. Brussels is a Belgian capital also a German colony. In 1830, Belgium got its independence from Netherland and drafting the constitution and guaranteeing the civil liberties, religious liberals, and radicals’ freedom of propagating their views. In 1845, Engels joined with Marx for the research for the planned critique of political economy. Both Engels and Marx sat at Manchester’s library to get the books of English political subjects. 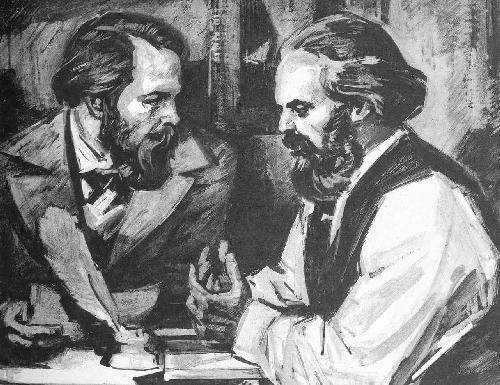 Engels and Marx got the network of communists across Europe, they found Communist Committee of Correspondence following. They committed to work for working class people around Europe. Marx started writing the books from Brussels, The Holy Family, The German Ideology and The Poverty of Philosophy. He formulated the communist ideologies in Communist Manifesto. This book is about applying the LEAN method in industries, when it got released automobile industries already using the techniques. Techniques & tools for Controlling, Quality & monitoring are good lessons. Wonderful book which teaches us the difference between materialistic world and human relations. Good approach in Project management, giving insights about planning, buildup, implementation and closure phase. After activity review and Before activity review are interesting with case studies., good guide to know the projects from Planning to postmortem.